Coffee – my favourite ‘pick me’ up! I’m going slightly off-piste with this blog post, but coffee plays a big part in my life, as people who know me well can vouch! It was was definitely a ‘grown ups’ drink as a child and young adult – it wasn’t until I graduated and moved to London that coffee truly appeared on my radar. It all started with the occasional cheeky mocha from Prêt, below my office when I was working as a designer for NatMags* in Soho. 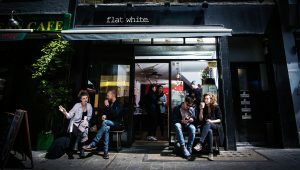 Then as the coffee scene began to flourish, an aptly named shop ‘Flat White’ opened on Berwick St. Run by Kiwis (I’ll always remember their cheery “G’day Princess!”), this was one of the earlier ‘proper’ coffee shops to arrive in the capital, and where my love affair with the black stuff began! 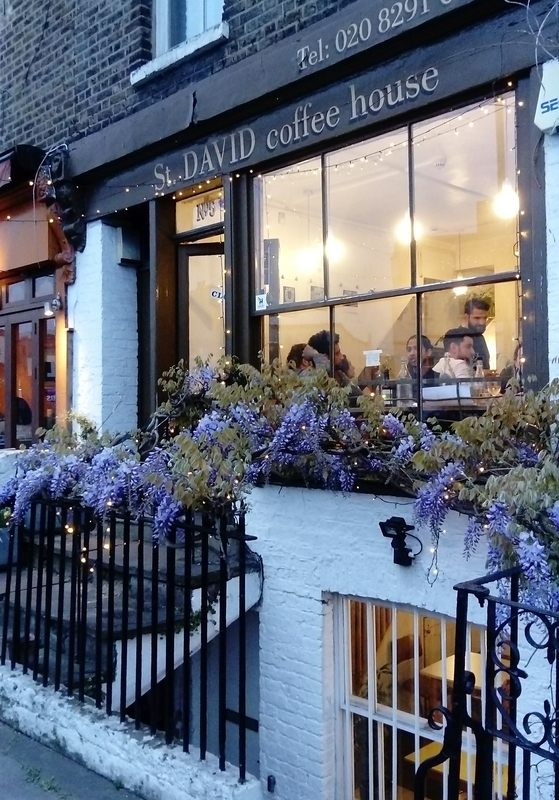 The biggest credit has to go to St David Coffee House in Forest Hill, that (in my humble opinion) not only makes the best coffee in South London, but is also a haven for freelancers like myself. The shop had a friendly relaxed vibe, a great playlist and was somewhere that I could take refuge in when I was getting bored of my own company! In time, I became great friends with it’s founders Dan & Lisa and current owner Sian. I love how passionate they all are about good coffee and the whole process. I would watch in awe, whilst they ground, weighed and poured love on these mini masterpieces, all served up in a cup! So, after years of playing spectator to coffee crafters, I wanted to finally have a go myself. 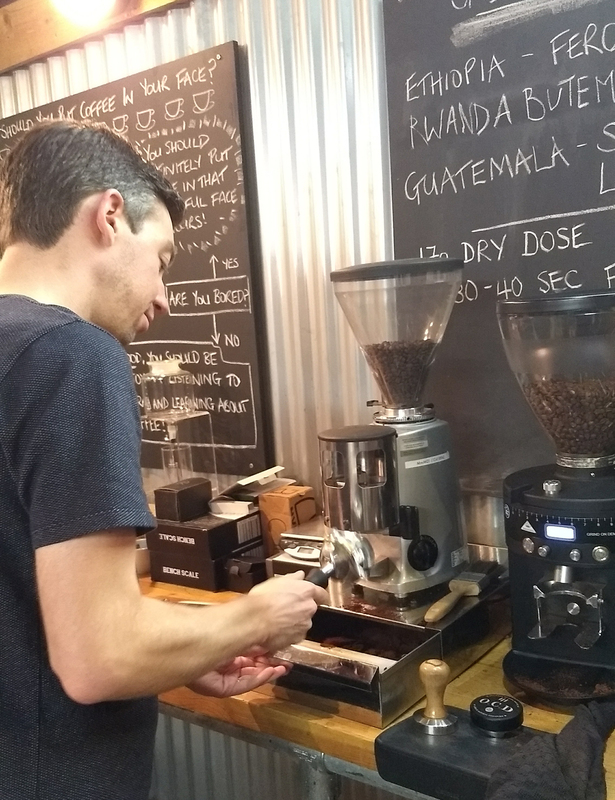 We recently treated ourselves to a little coffee machine that had been recommend to us by our barista pals, but wanted to gain a bit more knowledge on how to use it properly. Thankfully Small Batch, coffee roasters based in Brighton, run courses for just this scenario, aimed at wannabe baristas like me! 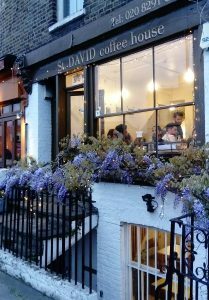 We met Max, a barista trainer at the their Training Lab, in the unusual location of an underground bank vault beneath their Seven Dials store. 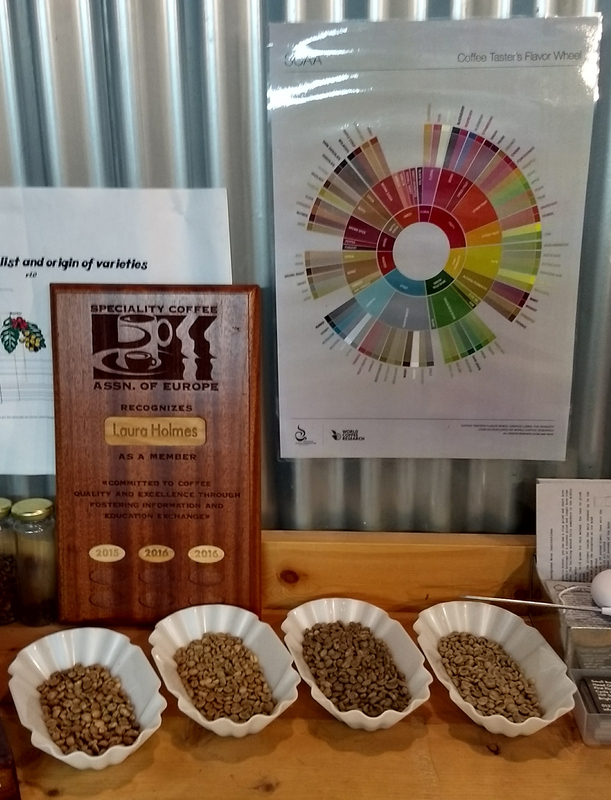 There we were greeted with various charts, diagrams and coffee making apparatus – exactly what you would expect of a coffee lab! 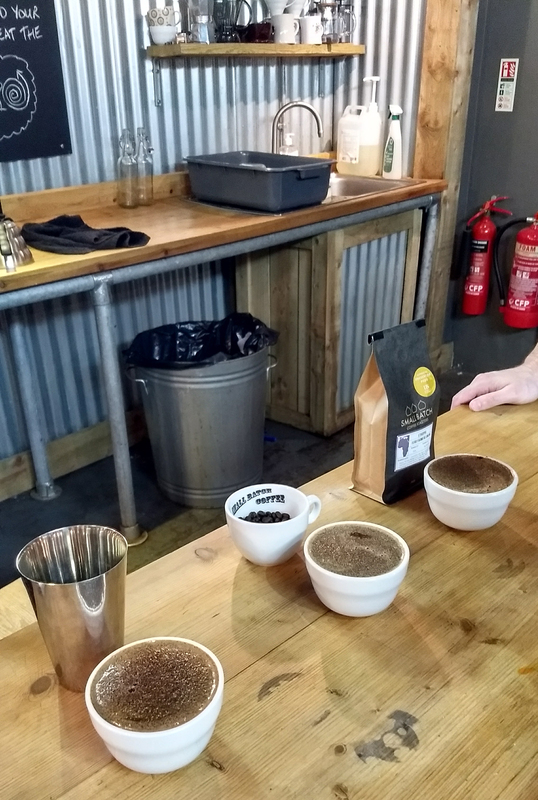 Max started the session by talking us through the origins of coffee and how the beans are harvested and processed, before Small batch receive them to roast in their Portslade Roastery. 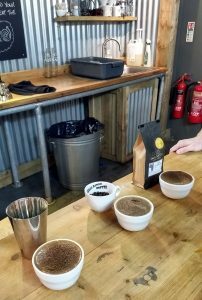 After discussing what makes for a good bean, we began tasting coffee – this is known as ‘cupping’ (the juvenile in me always chuckles at this! ), it involves slurping coffee loudly from a spoon and washing it around your mouth. Being the wimp I am, the coffee tasted super-strong, as I normally have it with lashings of milk! We moved on to grinding and how crucial this is to the process. Being a novice, this had completely passed me by, but after this session, I can see just how important it is for achieving a great coffee. Perfecting the grinding means that you get good ‘extraction’, which is how quickly or slowly the water passes through the coffee, leading to either a very bitter or watery espresso. Suddenly it all starts to make sense. This was where the fun started and Max bravely allowed us all to have a go on the machine, making our first espresso! We then moved onto using the milk steamer, which is also a challenge, especially when you’re trying not spray yourself with hot foam! 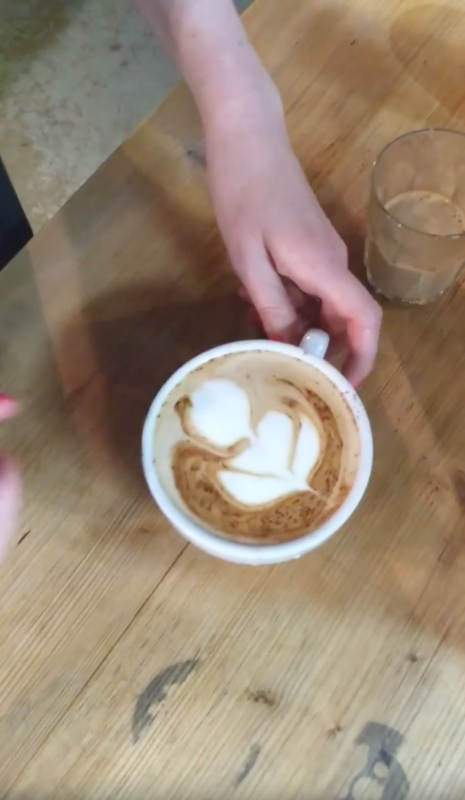 Finally the most nerve-wracking part is pouring the milk into the cup – all sounds fine, but considering how beautiful Max’s creations had been on his demonstrations, we were all very scared of our latte art masterpieces (or not, as the case may be!). So after three hours in the Small batch lab I am all fired up to get practising my coffee making at home. I am certainly a long way off ever achieving a professional looking coffee, but hey, I can have fun trying! 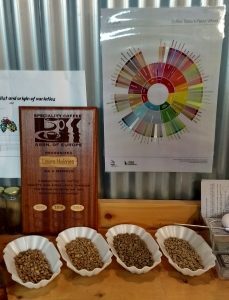 Big thanks to Max at Small batch for being a patient and excellent guide!